The T Series is provided with a torque motor driven universal continuous tilting head with high positioning dynamics and high accelerations on the axes. Ideal for applications with medium to big swing diameters and requirements of high performance and versatility. Perfect solution for single parts or batches, as 5 faces can be machined in one setting, avoiding unproductive stops for resetting and therefore increasing the accuracy. 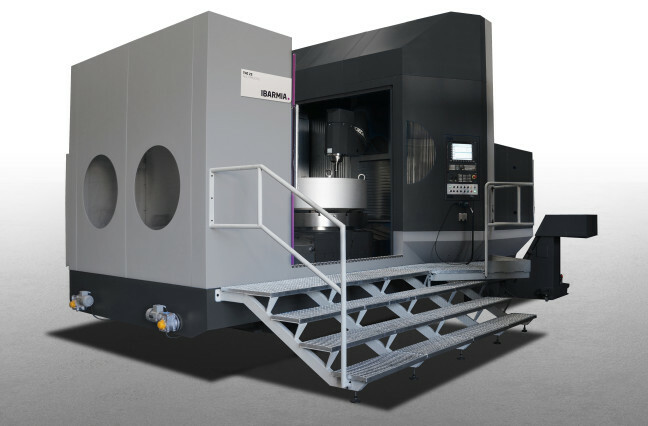 The machine has high performance turning, milling & drilling capability. When in turning mode, the machine incorporates a weight balancing function that eliminates unbalanced set ups. Long turning tools can be fixed in different ways for internal boring and turning operations.